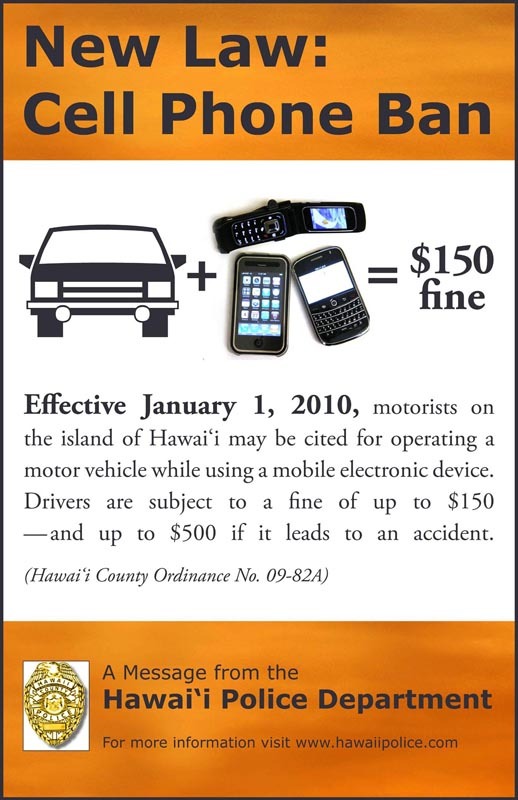 The Hawai’i Police Department is reminding the public that officers will begin to issue traffic citations in January for motorists who use an electronic mobile device while driving. 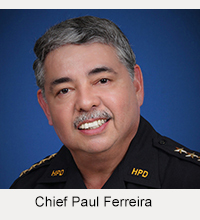 In August, the Hawai’i County Council passed County Ordinance 09-82A, which will make it illegal to use a cell phone or other mobile electronic device while driving-except with a hands-free mechanism. 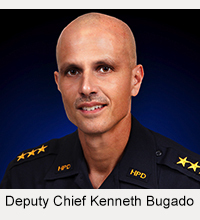 The ordinance was signed into law by the mayor. It takes effect on January 1, 2010.